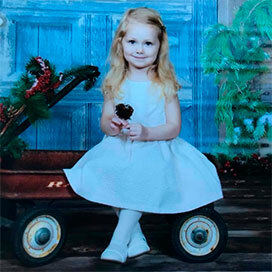 All employees have passed background checks. We do not allow anyone in your home that we would not allow in ours! 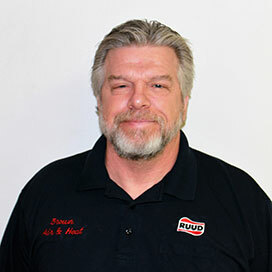 Tim has been working in the air conditioning and heating field since 1978. Tim and wife Lynn, started Brown Air Conditioning & Heating in 1984. 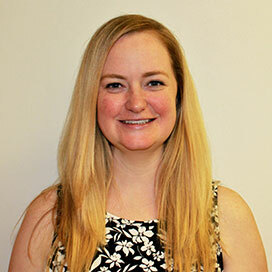 Sabrina has been with our company for 5 years and is a valued member of the Brown Air Conditioning and Heating Family. 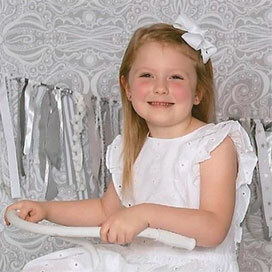 Cole has experience as an installer and a technician. After being with our company for 10 years he is now a lead technician. 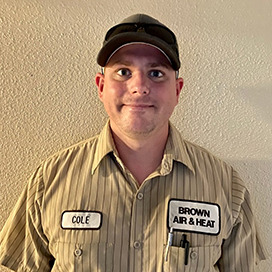 Cole has his Associates Degree in Air Conditioning and is a valued member of the Brown Air and Heat Family. 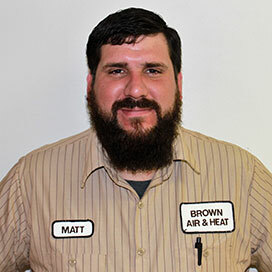 Matt has been a technician for 4 years. He is a valued member of the Brown Air and Heat Family. 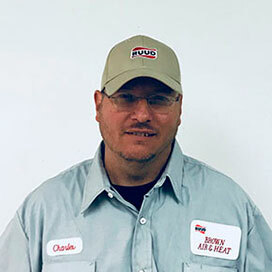 Charles has been a technician for 2 years and is a valued member of the Brown Air and Heat Family.